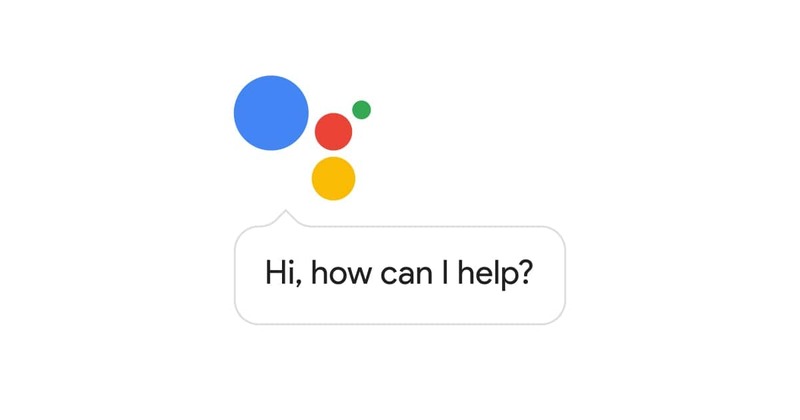 Google’s aptly named AI helper, Google Assistant, is poised to have a great year in 2019. Not only will the digital assistant be spreading to numerous devices old and new, but there are a host of new features coming, too, several of which were shown off at CES the week before last. This list of upcoming Google Assistant updates is long, and it can be overwhelming trying to parse out all the different announcements and keep track of when these new features will finally be available. To help, we’ve curated a rundown detailing the best and most important updates coming for Google Assistant in the next few months, including what devices these new features have been announced for, their expected release dates, and how to enable them (when available). By far, the most hyped new Assistant feature is the Interpreter Mode. 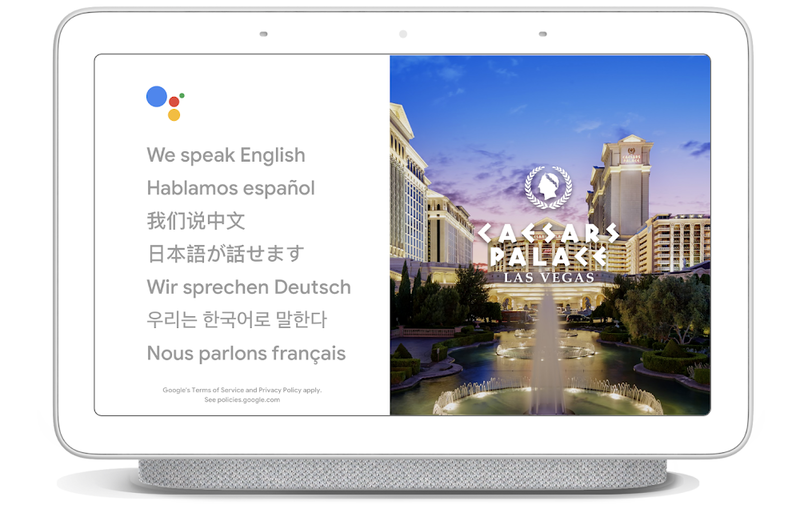 Interpreter mode will expand Google Assistant’s already existent bilingual functionality by offering real-time translation from one language to another on the Google Home Hub smart display, acting as an interpreter between two parties who otherwise don’t speak the same language(s). This might sound similar to Google’s previous attempt at real-time translation on the Pixel Bud wireless earbuds, but Interpreter Mode is a much more elegant execution on the concept. Hands-on reports of Interpreter Mode have been mostly positive, but it’s not perfect. The delay between the participants speaking and the device translating is just long enough at this point that it makes the interactions slow and slightly awkward. And depending on ambient noise level and clarity of speech, sometimes Google Assistant will mishear a word or two. Thankfully, Google has some time to fine-tune things before the full roll out. Interpreter Mode is being beta tested at select hotels in Las Vegas, New York, and San Francisco for now, but Google says the feature will be available to consumers on Google Home Hub within the first few months of 2019 and will roll out to other smart home display devices soon after. Google Assistant will now be adding punctuation to sentences automatically — no settings to enable or special voice commands required. The AI helper will recognise when to add proper punctuation — such as commas, periods, and question marks — based on context, the tone and cadence of your voice, and pauses/breaks, meaning you no longer have to say the word “period” when you want to add one while dictating a text message. 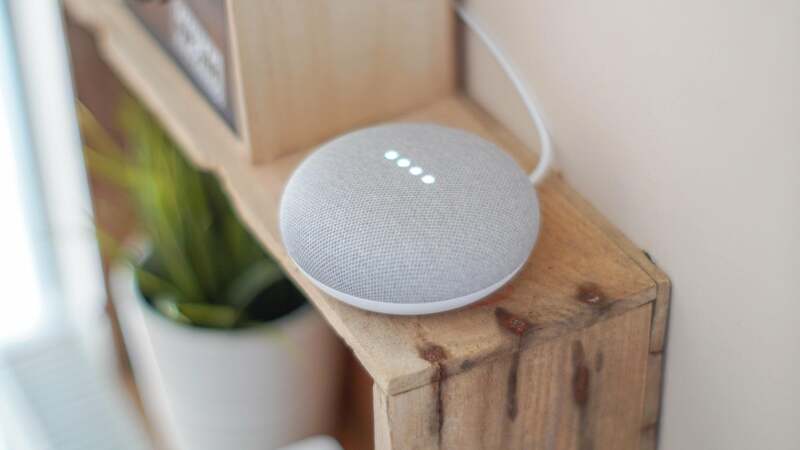 However, because of this, it’s probably smart to train Google Assistant to recognise your voice, which we conveniently have a guide for. Punctuation mode is currently available on all Google Assistant-supported devices — just be sure you’ve updated your device’s OS and the Google Assistant app (Android, iOS). 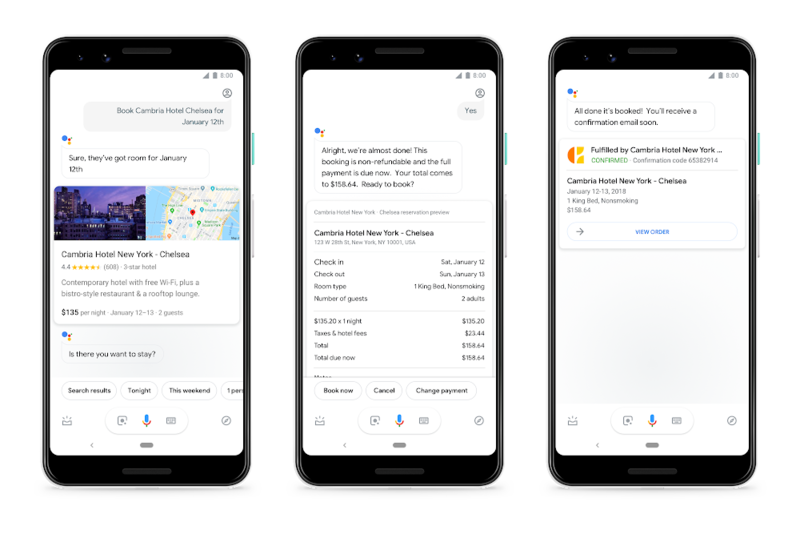 Google Assistant is now integrated directly into Google Maps — even on devices that would otherwise not have native Google Assistant support, such as iOS devices. 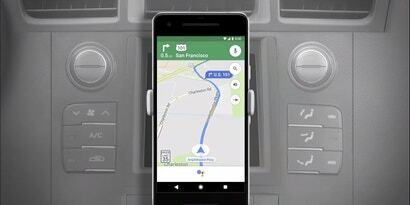 Google Assistant adds new functionality to Google Maps, such as letting users share their arrival times, reply to text messages via voice, control music and audio playback, perform searches with voice commands, and make phone calls all within the Google Maps app. The Maps version of Assistant also has a unique interface that was developed with driving in mind, meaning it’s almost entirely hands-free and uses easy-to-see on-screen elements so you can keep your eyes on the road. 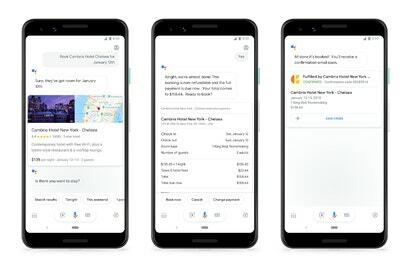 An update containing the Assistant-integrated version of Google Maps began rolling out in December last year and is now available on both Android and iOS devices (though iOS users will have to download the Google Maps app, if they haven’t already). If you haven’t updated your Google Maps app, you can do so via the app’s page in the Google Play Store or the Apple App Store. Not all smart speakers are created equal. In fact, some barely meet the qualifications to be called “smart” in the first place—but they’re getting better at answering your questions, assuming they can understand what you’re saying. Originally only available on Pixel 3 handsets, lock screen access allows users to call up Google Assistant via the “OK, Google” command, even when your device is locked—though the functionality is limited when using Google Assistant this way, only allowing users to check on personal results from their Gmail inbox (or other connected email accounts); Google calendar; saved contacts; and memory aids like event reminders and shopping lists you’ve created. Certain commands will also require you to unlock the phone in order to get Assistant’s response. Bring up Google Assistant, either by saying “OK, Google” or pressing and holding the home button. From here, go to Assistant > “Assistant devices” > select your phone. 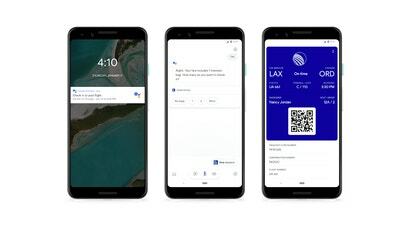 Google Assistant will also take some of the stress out of travel when the new flight tracking and boarding pass features launch in the coming months. Users will be able to perform pre-flight check-in, security screening, and check luggage through their phone’s interface, after which they will be then be presented with a boarding pass directly on your device. Technically these features are available now, but only in a limited capacity for domestic US flights on United Airlines. While this is an obvious manoeuvre to compete with Apple’s Wallet boarding pass features on iOS, Apple Wallet has been around longer and supports far more airlines, so it’ll take some time for Google Assistant to be truly competitive here. Google has not made any concrete public plans for when users can expect more airlines or international flight support. 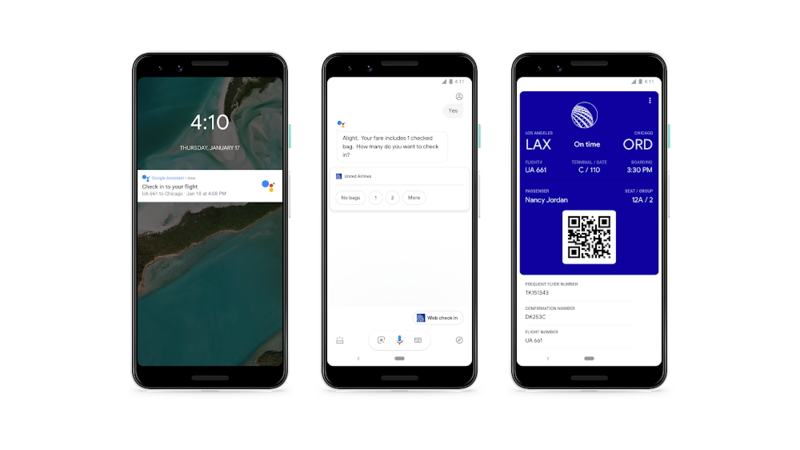 Not only will you be able to lean on Google Assistant for your flight plans, but Google Assistant can also now handle your hotel bookings, too. You’ll be able to ask Assistant to find nearby hotels, pull up listings for specific dates, and book rooms through Choice Hotels, AccorHotels, InterContinental Hotels Group, Priceline, Expedia, Mirai, and Travelclick. This is available now for US users. We’re only a few weeks into the year so this is by no means a comprehensive overview of every Google Assistant update or feature to expect in 2019. And Google is projecting that 1 billion devices will be running some version of Google Assistant by the end of the January, a figure that covers nearly 10,000 products from over 1,000 brands, with Samsung, Lenovo, Anker, JBL, Kitchenaid, Sonos, McAfee, and many others adding to the list in 2019. We expect to hear plenty more about the AI helper in the coming months and will make sure to keep you updated on how to use the best new features. I see people texting and wonder why. I have had a Pixel for 2 years, from the onset I have never typed anything, I only speak what I need to write; email, messaging and so on. Corrections are rare. Texting whilst driving using a android phone is nuts. I simply say, Okay Google text John, Assist says, what do you want to say, I speak then Assist asks do you want to send it or change it. During this time I never once touch the phone. Of course if I see people texting on an Apple devise then I fully understand (I have nil respect for Apple people). What more can I say, texting with your fingers is over. "You mean you have to use your hands? It's like a baby's toy ... "
And Google is bringing these Aus? After buying a couple of Google Homes I've been surprised at how many Google features don't work in Australia, for almost no reason at all? We've still only got the one assistant voice. Ok, I can accept it takes time to program accents, but continued conversations is still restricted to English US? All that does is keep the mic open for a short period after each command for followups? How hard would that be to enable in English AUS?